Living in the darkness, Taylor didn’t think she could make her way back to the light. It was through the courage of reaching out and asking for help that this beautiful soul was able to find the tools to cope with her anxiety and depression. 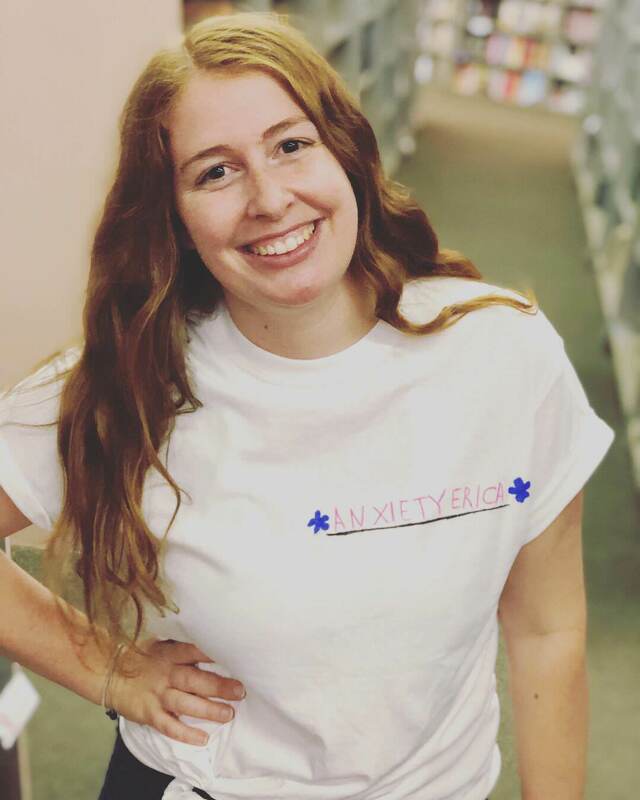 With a new sense of empowerment, Taylor heals not only through her future career as a counselor, but by sharing her story on her blog – The Lotus Project – and providing in-depth information on resources available to anyone struggling with their mental illness. Meet Taylor. I have a psychology degree and am currently attending graduate school to become a mental health counselor. I am very familiar with symptoms of depression and other mental illnesses, but that didn’t make it any easier. After starting grad school in my hometown, where I had no friends, I realized that I was not myself. I realized that I was crying all the time, slacking in my school work, and calling off of work. My low self-esteem started to prevent me from leaving my apartment, which caused me to further isolate myself. My relationship with my boyfriend was crumbling. We were fighting constantly and I was irritable, clingy, and jealous. All of these behaviors were very abnormal for me. When I first noticed that something was off, I tried to see a psychologist. She never returned my phone call to finalize my appointment, so I pretty much gave up after that. I was slipping further and further down. I was fantasizing about death. Eventually, my boyfriend was hiding my Benadryl from me, counting them before he left the apartment, and would stand outside the bathroom door any time I entered. I knew I was depressed, but I didn’t think I was that bad. I thought I could get over the hump. But my boyfriend thought otherwise. He threatened to move out if I did not get help. He said he couldn’t watch me feel like this anymore. It was hard for both of us. I was terrified of losing him, so we went to the ER that very day. The experience itself was horrible, but it led me to my current psychiatry office, which I am grateful for. I may have never gotten help if it was not for my boyfriend pushing me. If I never got help, I believe that I would not be here today. My depression did cause my boyfriend and I to break up for a period of time. Neither of us knew how to handle it. We eventually got back together, but while we were apart I started dating someone new. I was terrified that he would find out that I was depressed, but at the same time I felt that he deserved to know that there was something wrong with me (now I know that there is NOTHING wrong with me). I told him that I was “sick” because the stigma surrounding mental illness is so devastating. I did end up telling him the truth, but it is sad that I felt that I had to initially hide a part of myself. Now, especially since I have started a blog about it, I am much more willing to open up about my struggle. I still have days where I hate myself so much that I don’t want to leave the house, but I continue taking my antidepressants, going to therapy, going to the gym, and living a healthy lifestyle. I have a terrible fear that I will have another severe depressive episode and that my boyfriend will leave me again. I cope with that by being open about it with my boyfriend, family, and counselor. While I was living in the darkness, I felt like I was so terribly weak. But now that I have come out on the other side, I feel like I am strong. I feel like I have a new perspective that I can use to help people through my blog and through my future career as a counselor. I feel like I can do anything. I feel like my depression makes me unique, and I now love opening up about it. I feel empowered. I won’t let depression win. I felt empty. I felt alone. I felt worthless, hopeless, anxious, and sad. I truly could see no light in my life and didn’t want to feel that way anymore. I couldn’t see the end. I tried to end my own life, and then woke up devastated that it had failed. Now I am doing better, and I honestly didn’t think it was possible. Do you want to share your mental health story? Leave a comment about your journey and you could be featured! It took me 3 months to get an appointment with my therapist too, so I feel you! Something does need to change. Thank you so much for your comment!